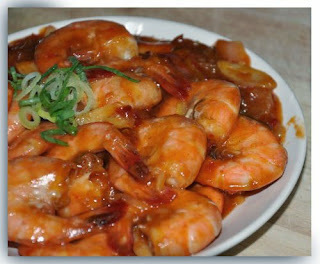 Sweet and sour shrimp is the food which is quite popular in Indonesia, even many restaurants that make this menu become their main food. Now for the Mother who are interested to make a spicy sweet and sour shrimp with a practical and easy way, can follow the following way. 5. After waiting until the prawns were overcooked and redness 6. then remove and serve with family.